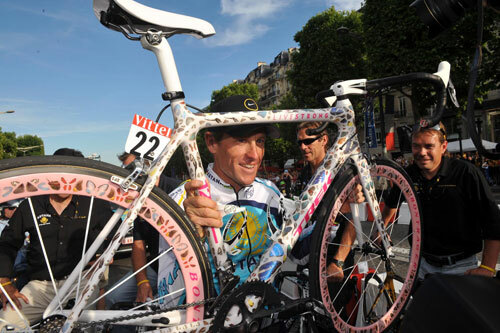 Lance Armstrong‘s Damien Hirst-designed ‘butterfly bike’ fetched a cool $500,000 during an auction at Sothebys in New York on Sunday in aid of the rider’s LiveStrong cancer charity. The one-off creation by British artist Hirst was ridden by Armstrong during the final stage of this year’s Tour de France. It’s selling price makes it the most expensive bike in the world. Hirst used real butterfly wings, lacquered onto the frame of a Trek Madone. 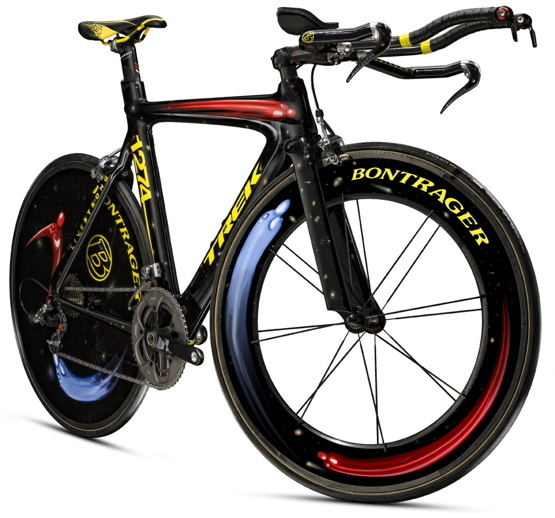 Bono, the lead singer of Irish band U2, had approached Hirst to create the bike for Armstrong, with the view of it being auctioned for the LiveStrong cancer charity. Art fan Armstrong also has a Damien Hirst artwork in his collection. “The technical problems were immense,” Hirst said when the bike was unveiled in July. The project attracted some negative attention, with some animal rights activists branding the use of real butterfly wings as ‘barbaric’. Hirst has often courted controversy, having gained notoriety with his infamous shark suspended in formaldehyde in 1992. 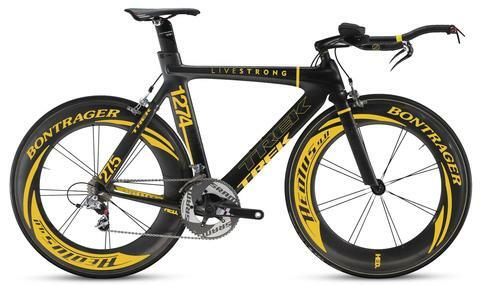 It was one of seven Trek bikes of Armstrong’s up for auction at the event in New York, which in total raised $1.25 million and netted $1.125 million for LiveStrong.